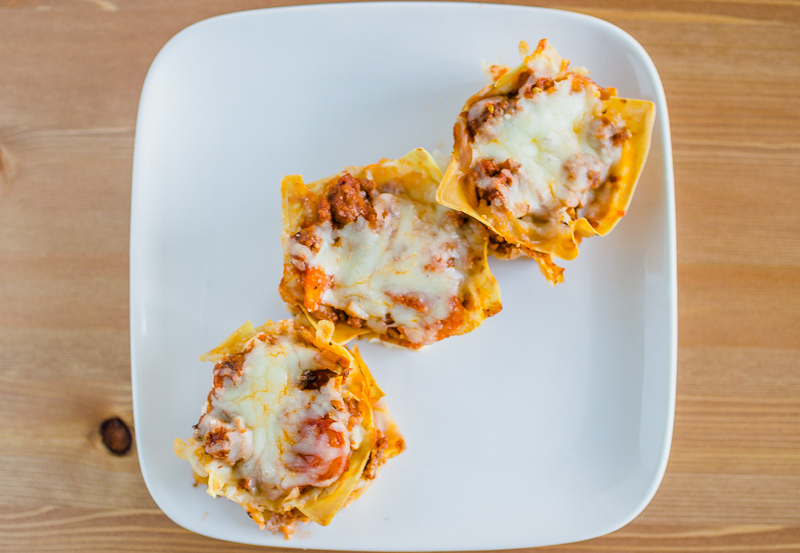 Easy petite lasagnas by Andie Mitchell. 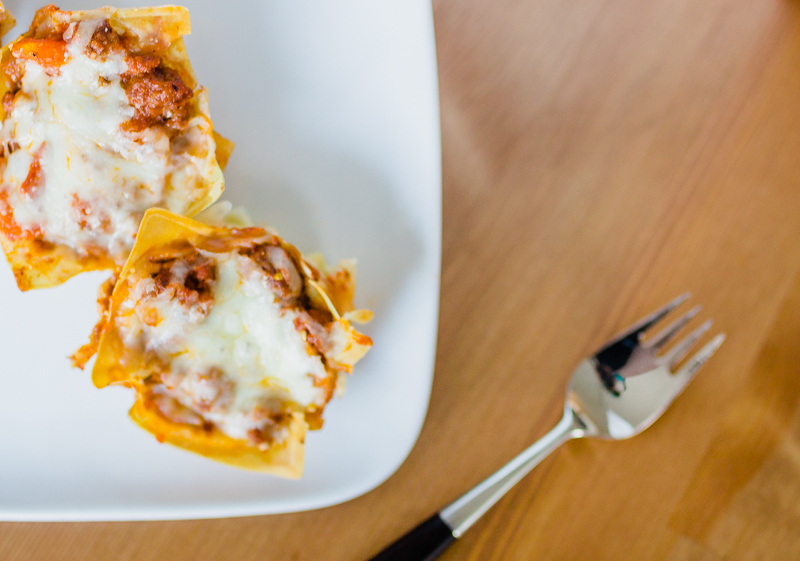 These are the perfect size for dinner, easy to make, and healthy for you! Oh my gosh, it’s Wednesday. I have 3 days until the baby shower and 4 days until England. I am in no way ready for any of this!! I spent yesterday at Fort Point Brewery, getting an inside look at a really cool operation. Much smaller than Speakeasy, some similarities, but widely different in so many ways! Keep a look out for the blog on Friday! Do any of you writers out there in the blogosphere feel like sometimes you just get really bad writer’s block? Sometimes, I feel like I cannot get any of my thoughts onto the blank page and it takes much longer to write a post than other days. My brain is somewhere else. I feel like the next few weeks are going to be way off on my blog, but you know what? That’s okay. Everyone needs a vacation every now and then. I’m pretty sure that it is in England introducing Braedon to his family, finally! We are on the final, I think, part of Eating in the Middle by Andie Mitchell. I have really enjoyed going through her recipes and cooking through the book. I really makes me think that healthy food does not have to taste bad. When I was younger a diet was carrot and celery sticks and sometimes a spoon of cottage cheese. But, now that I have learned how to feed myself and nourish my body, my mind has changed. Food is definitely a pleasure, something to enjoy with loved ones. I decided to make her Petite Lasagnas this time and honesty, they were the most perfect little things for dinner ever. And I just used the frozen wonton wrappers that I had leftover from my birthday bulgogi tacos! I had no idea what I was going to do with them! In a 12-inch non stick skillet, heat the oil over medium-high heat. Add the turkey, onion, mushrooms, 1/4 teaspoon of salt, and 1/4 teaspoon of the pepper, and sauté, breaking up the meat with a rubber spatula, until the turkey is cooked through, 7 to 10 minutes. Add the garlic and cook, stirring constantly, until fragrant, about 30 seconds. Add the tomatoes and 2 teaspoons of the oregano and bring the mixture to a simmer. Reduce the heat to medium-low and cook for 10 minutes. Remove the pan from the heat and set aside. In a medium bowl, combine the ricotta, the remaining 1/4 teaspoon of the salt, the remaining 1/4 teaspoon of the pepper, the remaining 1 teaspoon of the oregano, and the basil. Spray a standard 12-cup muffin tin with nonstick cooking spray. Put 1 wonton wrapper in the bottom of each of the 12 cups, pressing firmly into the bottom of the cup and up the sides. Divide half of the ricotta mixture among the 12 muffin cups. Divide half of the turkey tomato sauce evenly over each of the ricotta-filled cups. Sprinkle each with 2 teaspoons of mozzarella cheese. Gently press another wonton wrapper on top. Repeat the layering process with the remaining ingredients. Baked until the lasagnas are hot in the centers and the cheese has melted, 12 to 15 minutes. Transfer to a wire rack and let cool for 5 minutes in the pan before serving. I wanted to say thank you to Andie Mitchell for the great cookbook/recipes, for liking some of my instagram photos, and for being a generally good host! Check out her blog! What cookbook should I do next? I know I’ve already asked and I’ve gotten a few suggestions, but I want a big list! What do you do when you have major writer’s block? Follow me on Instagram, twitter, facebook, and pinterest for more interesting recipes, tours, and general good foodness!